The theme for the first annual Riot conference was “Break the Glass”, which inspired young females of color to break the glass ceiling that hinders advancement of minorities. The Break the Glass Conference featured keynote speaker Brittney Packnett and closing speaker Moogega Cooper. Five panelists shared their experiences with “breaking the glass” in their respective professional fields, ranging from politics, activism, and management, to pediatrics. To find out more about our speakers and panelists, click below! Panelists Gaby Diaz, Jordan Tse, and Lily Zheng discuss overcoming obstacles in their careers. 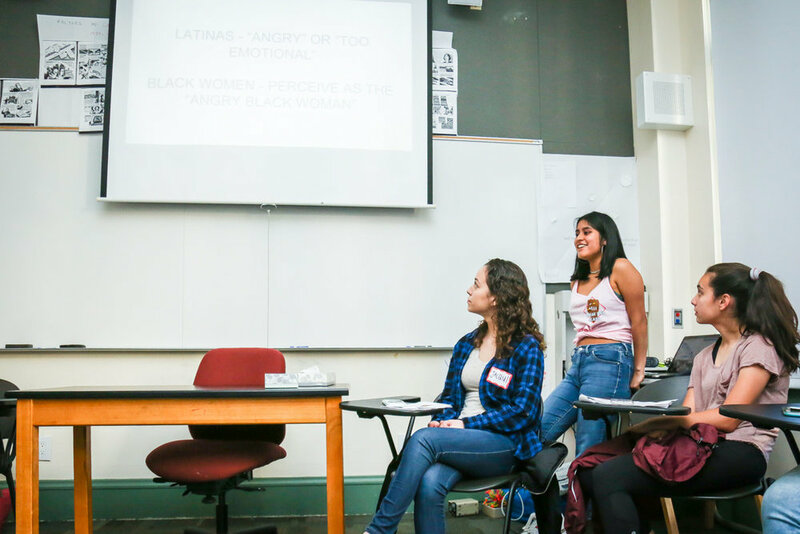 Our student-led workshops brought together students with shared interests to discuss topics concerning women of color. These work shops were intersectional, affinity spaces, aiming to cover a range of issues that may not be commonly explored in our independent high schools. All workshops were created by students with the help of our special guests. They are educational, empowering, and safe spaces that encourage and welcome all voices. Thank you to UnSun Cosmetics, Shoto, Smitten Ice Cream and the Princeton Review for sponsoring the 2017 “Break the Glass” Riot Conference. Students reflecting on personal experiences as WoC at independent schools.